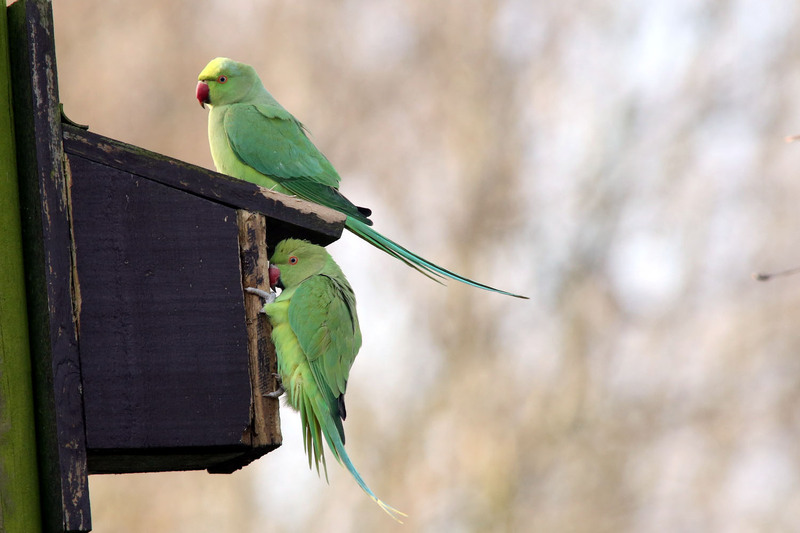 Ring-necked Parakeets, or Rose-ringed Parakeets as they are sometimes called, are an introduced species from escaped or released birds. 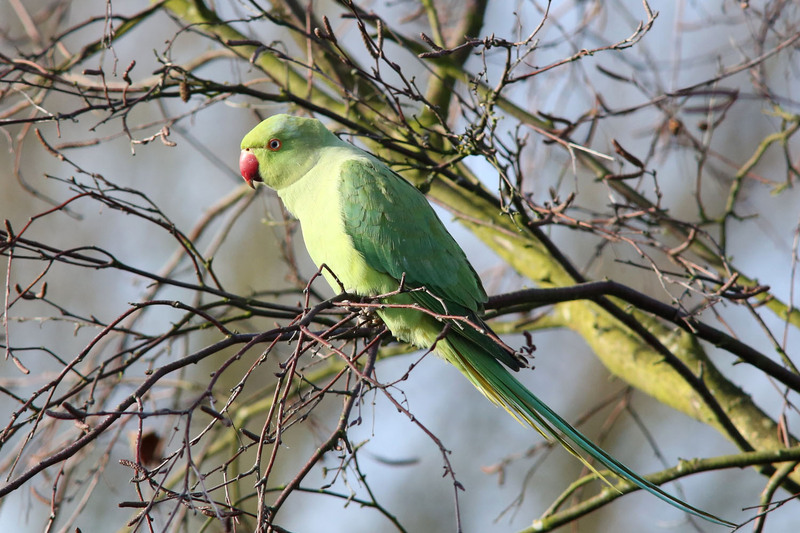 They are fairly common in South-east England but scarcer elsewhere. 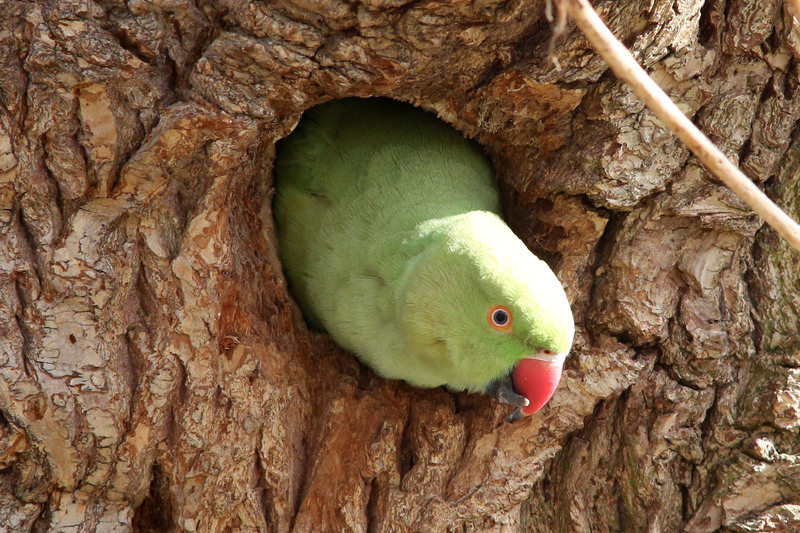 They are naturally cavity nesters and will take old Woodpecker holes. 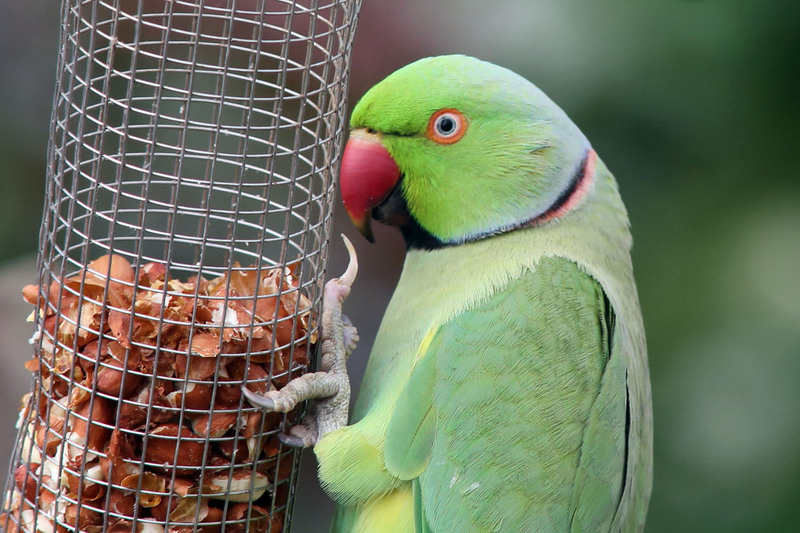 There is though some debate that in doing so they deprive other resident species, such as the Nuthatch, of adequate nesting sites. 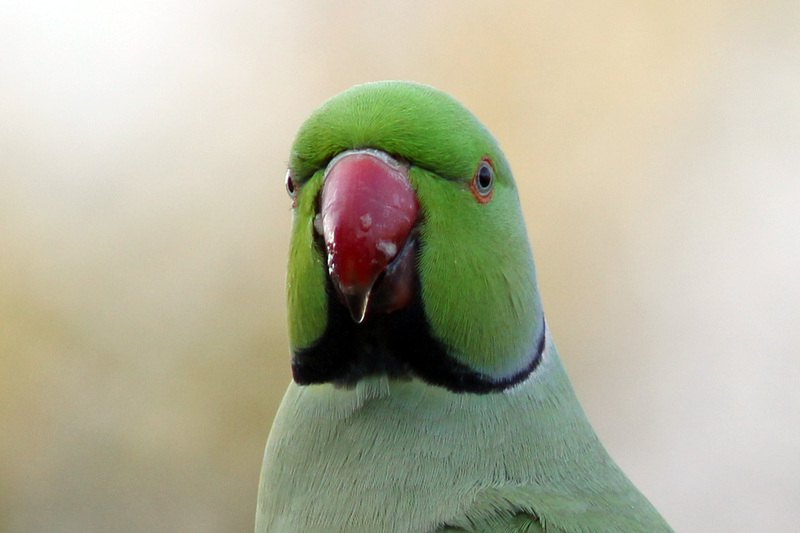 Only the adult males have the distinctive neck ring. 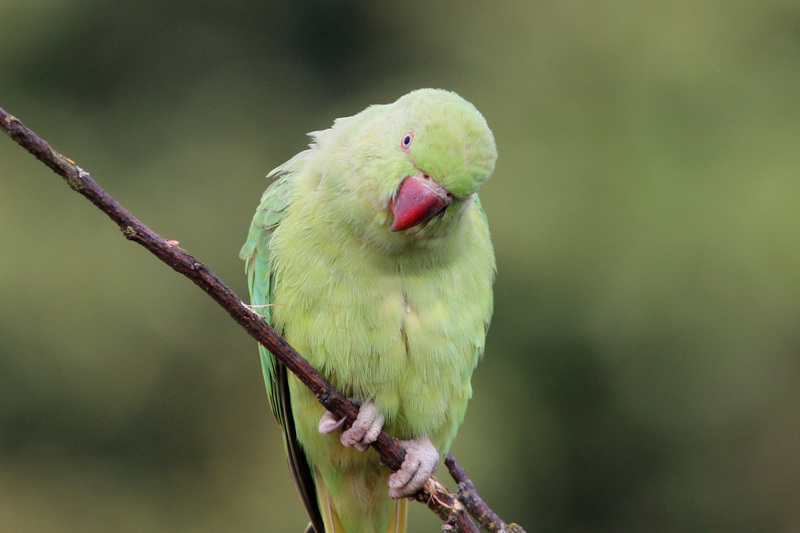 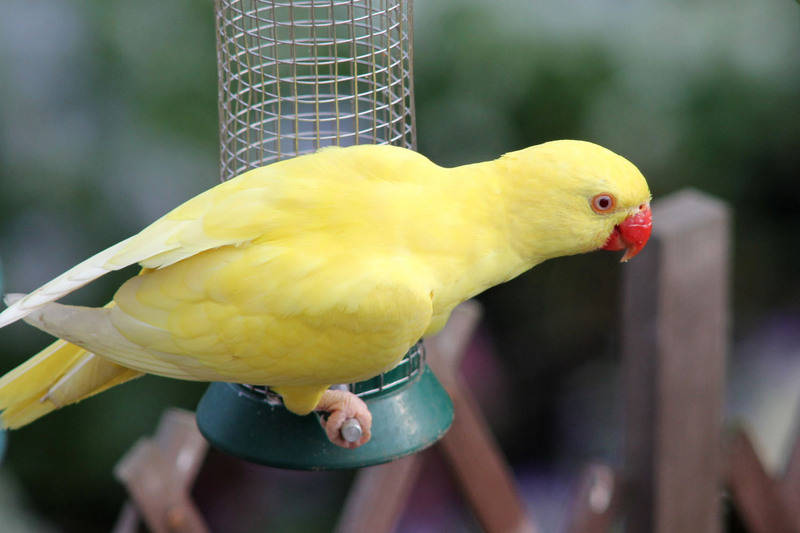 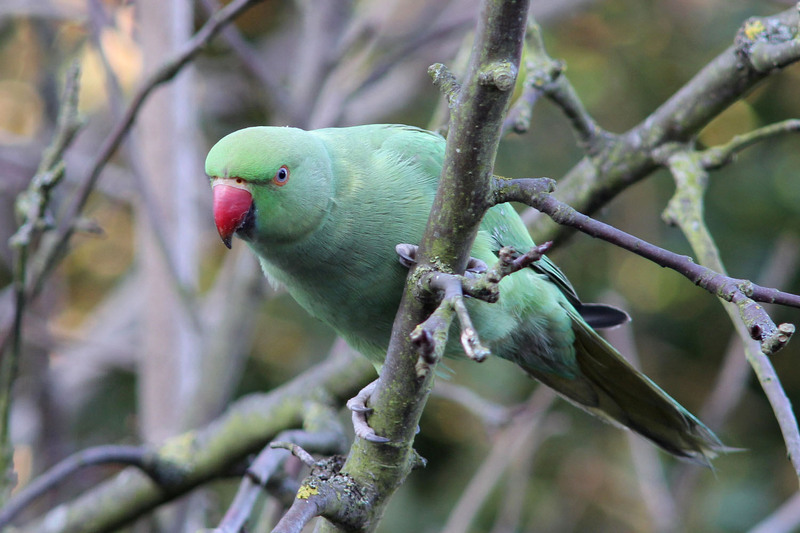 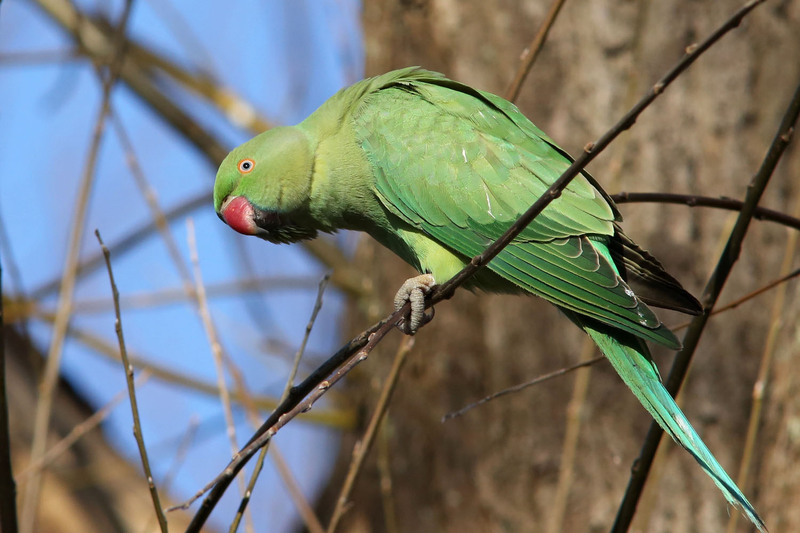 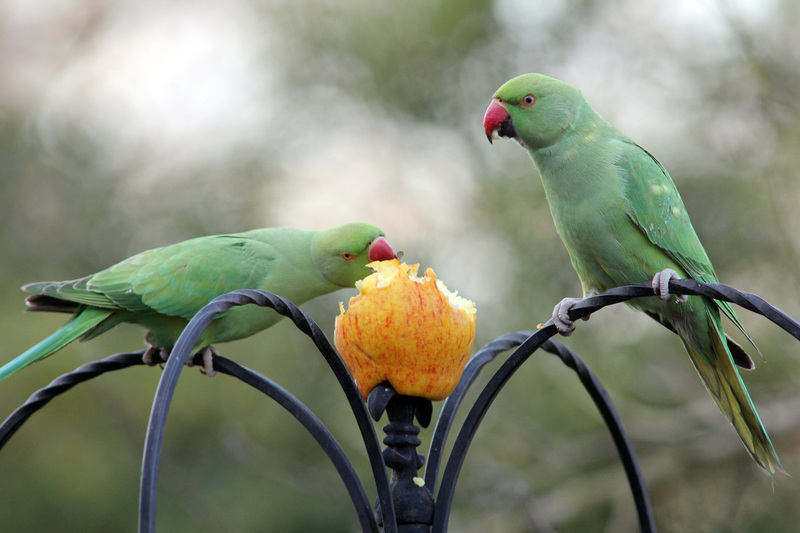 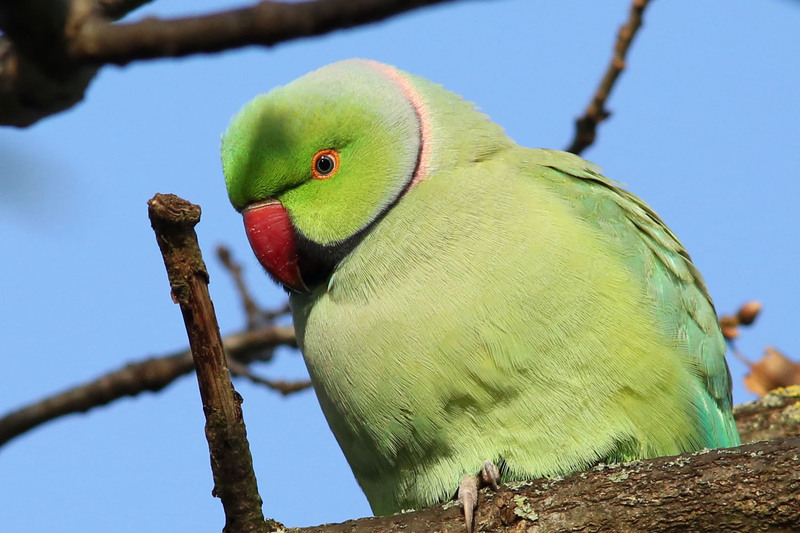 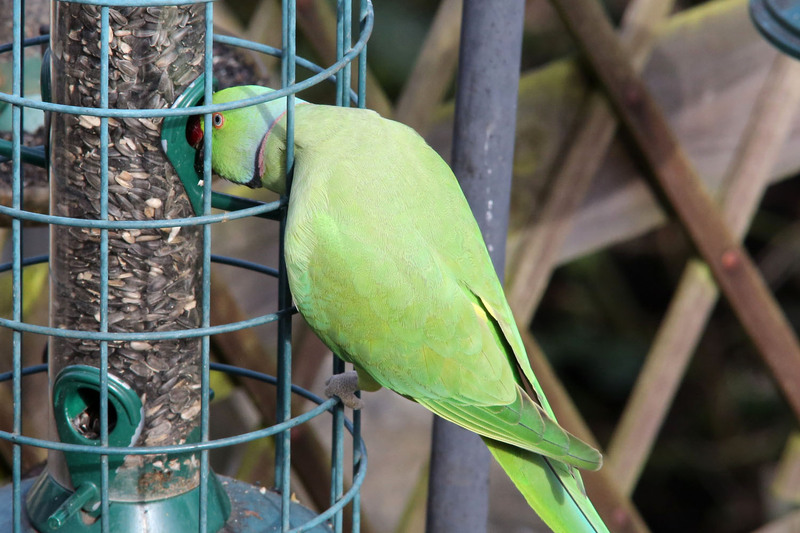 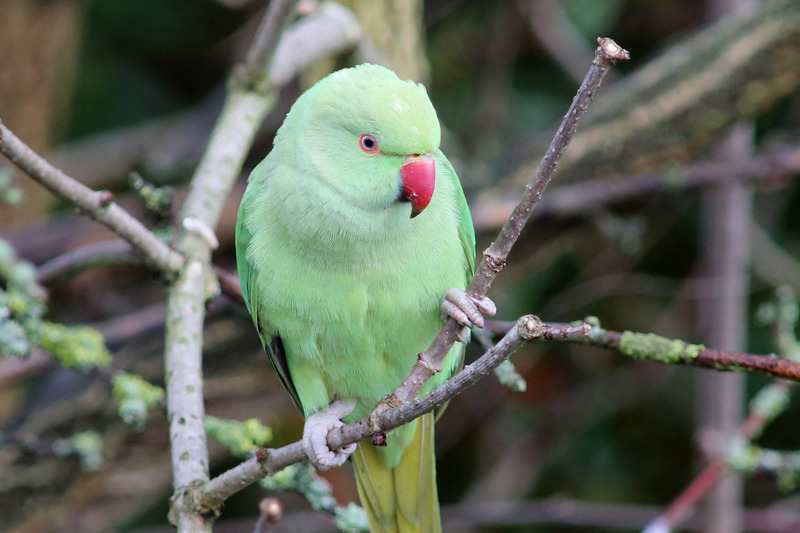 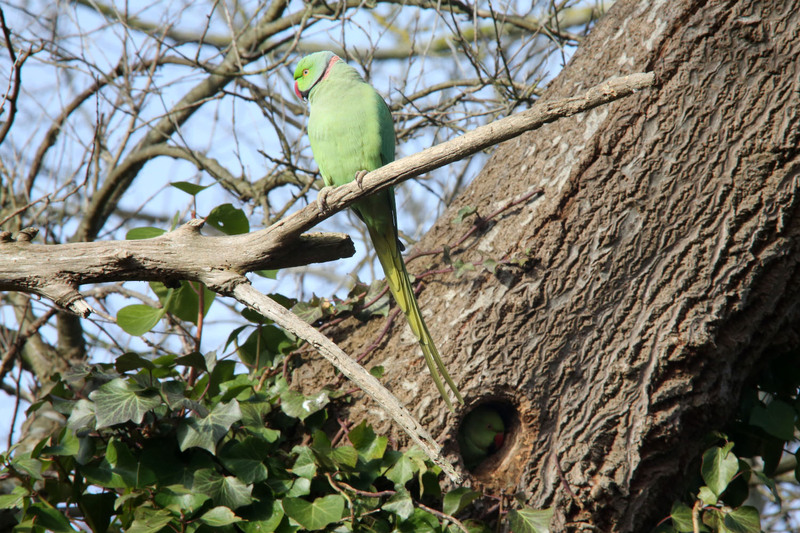 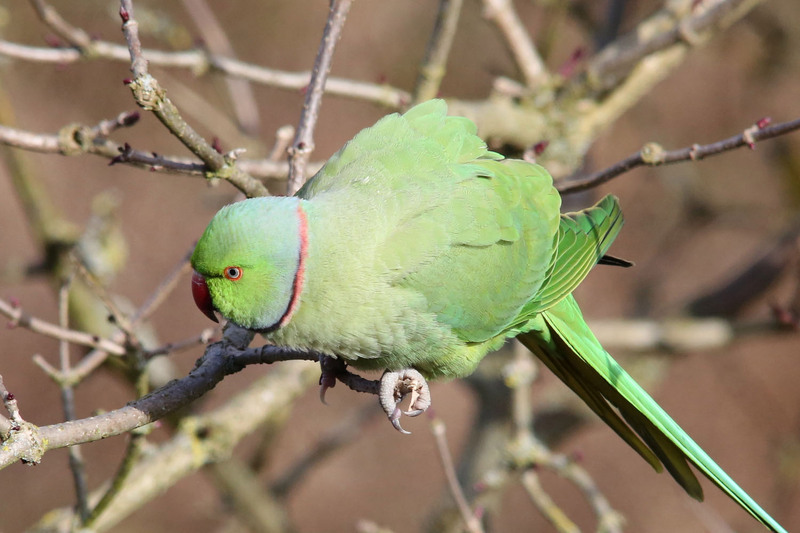 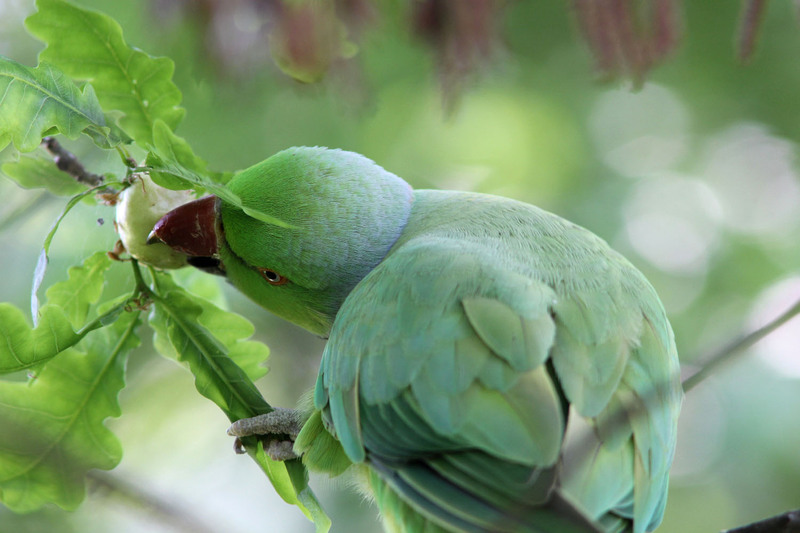 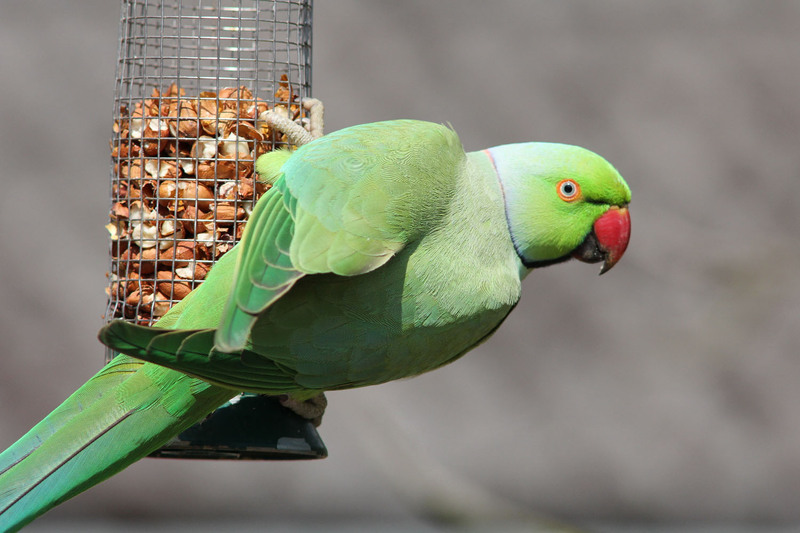 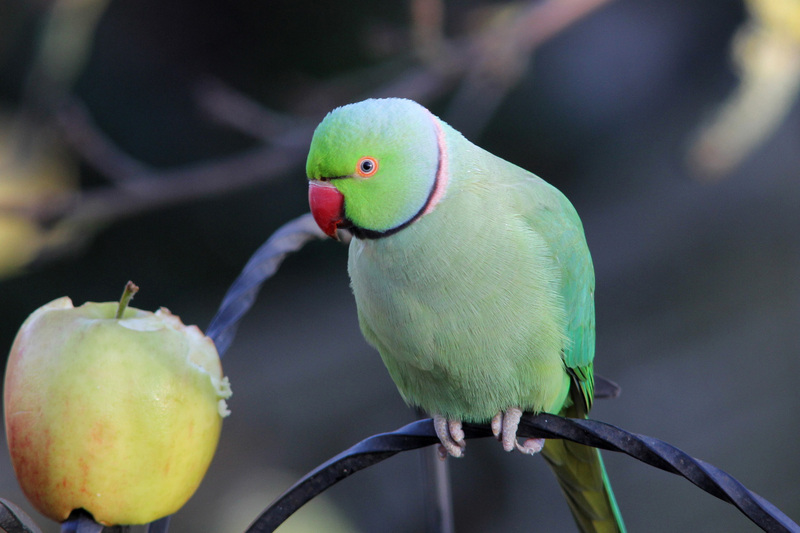 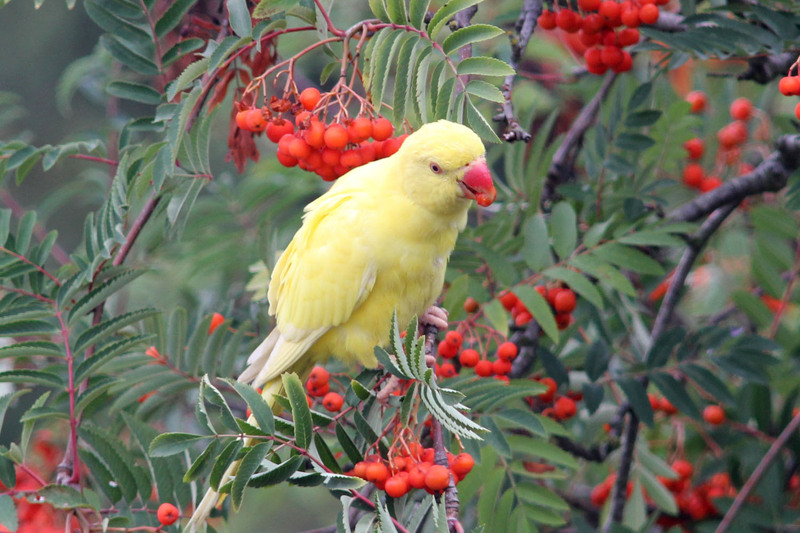 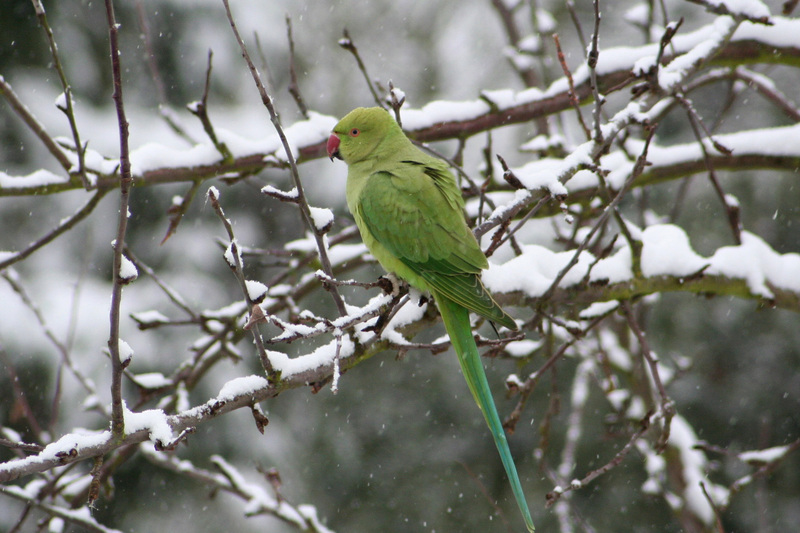 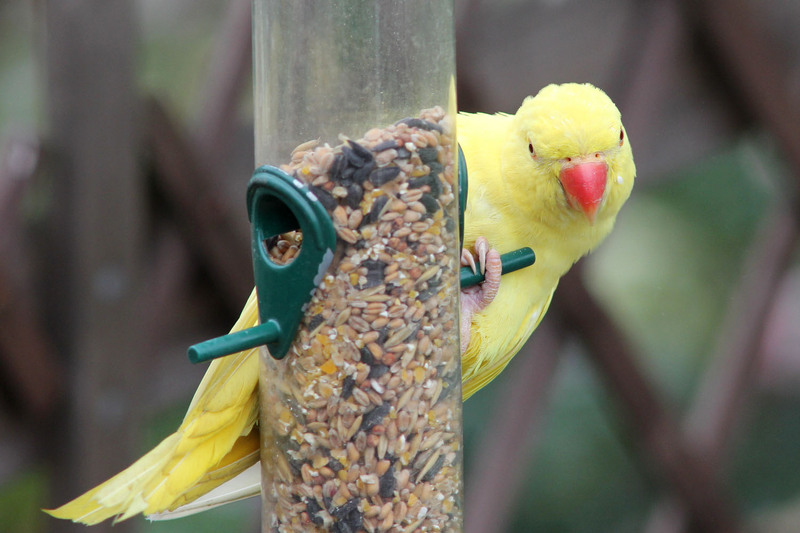 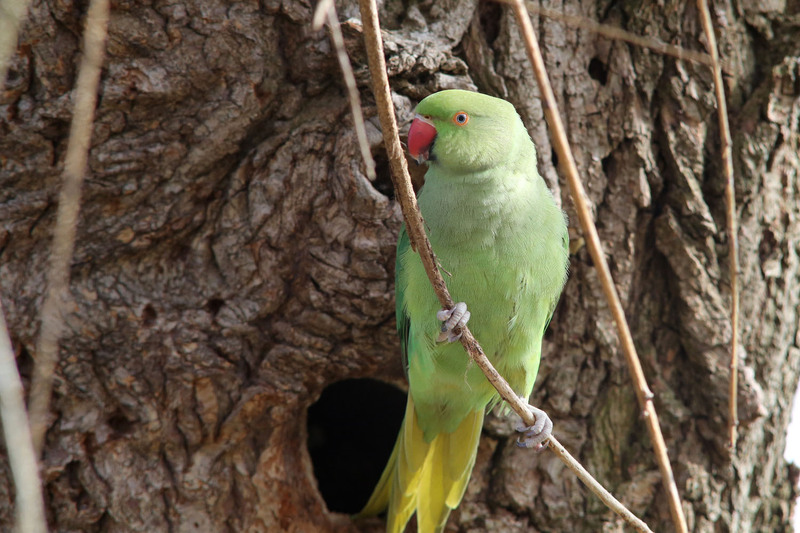 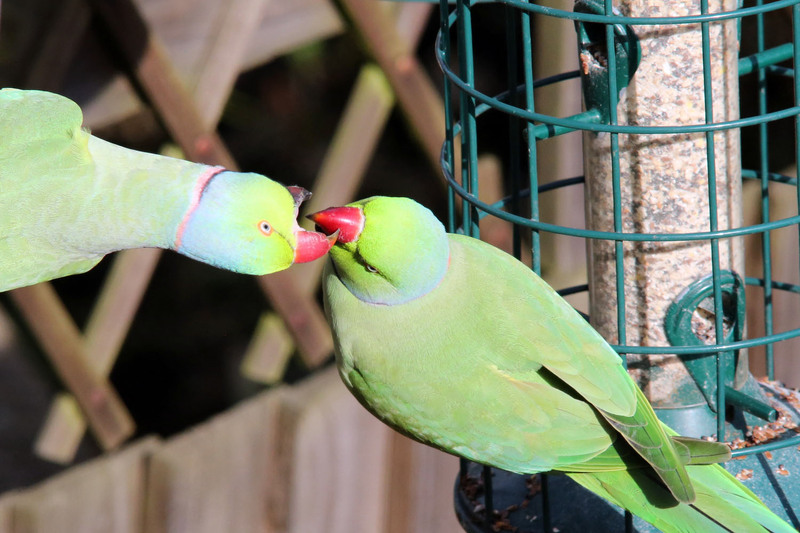 Ring-necked Parakeets will take seed or peanuts from feeders and also apple if offered it. 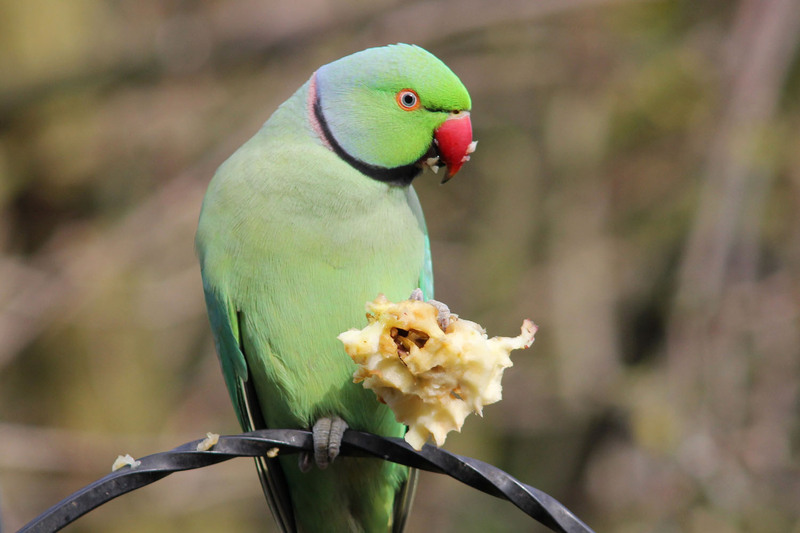 A Ring-necked Parakeet comes down from the tree to take some apple from the feeder.